I stayed at Safia’s family. When I found out that she likes Sherlock as much as I did, well, we had a lot to talk about. 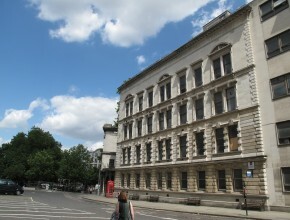 Different theories to the series were discussed. As this happened in school and we were not allowed to speak, we decided to dedicate our Saturday to Mr. Sherlock Holmes. 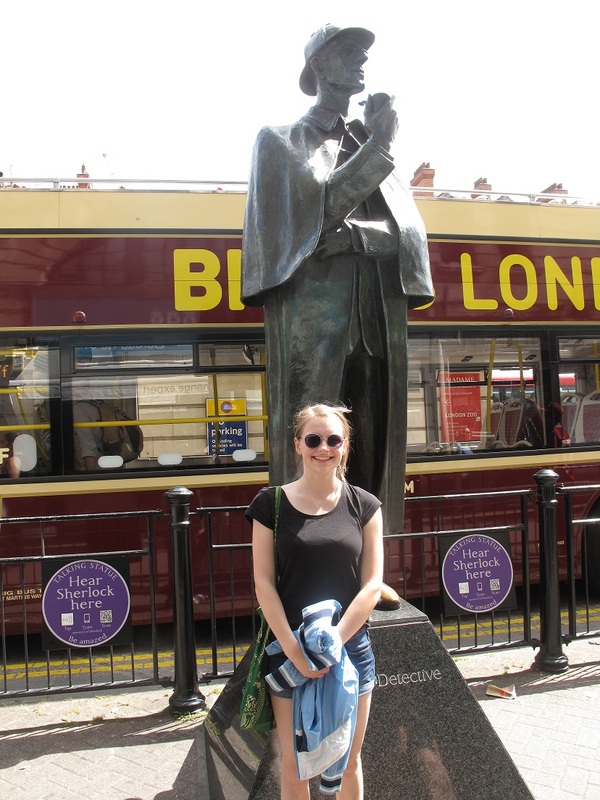 We did NOT build up a shrine and start some sort of rituals, instead we travelled to London to visit some sets of the Sherlock series. Accompanied by her 21 year old brother, Matteo, we took the train to London. Before we went to the first set, we stopped at his university and took a long look at St. Paul’s Cathedral and some fat pigeons. After that we headed to the St Bartholomew’s Hospital. 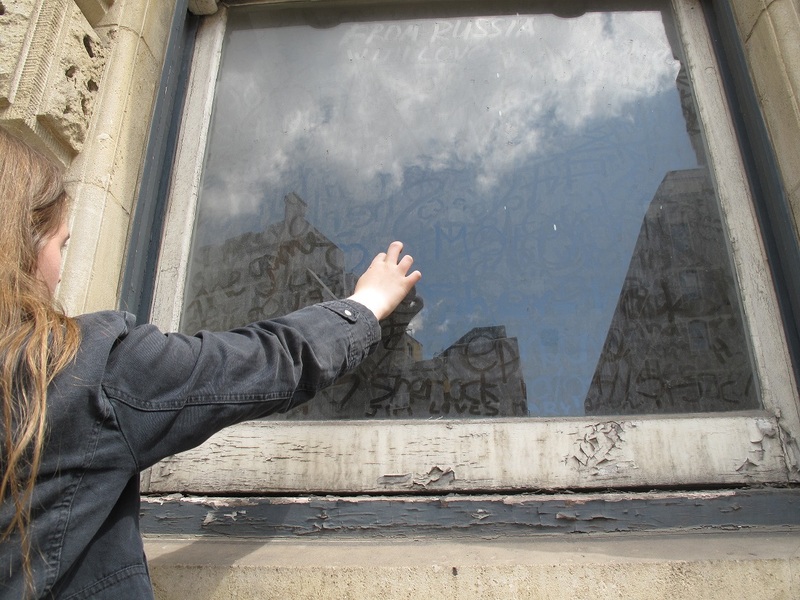 Sherlock fans wrote on the telephone box and the dusty windows…we would never do something like that. 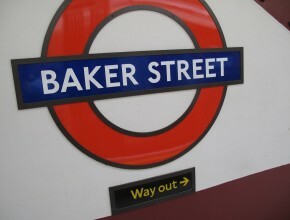 So after expressing ourselves on windows and having a closer look at the nice garden behind, we made our way to the famous Baker Street. We stopped at Kings Cross and watched people taking photos on track 9 3/4. Hit by nostalgia we got into the underground which isn’t close to the Hogwarts Express. 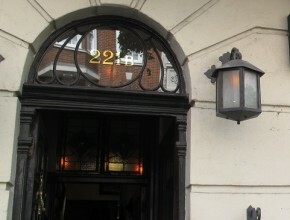 Finally there, we were gasping for air and were greeted by Sherlock Holmes himself. It was hot, so maybe we imagined it. 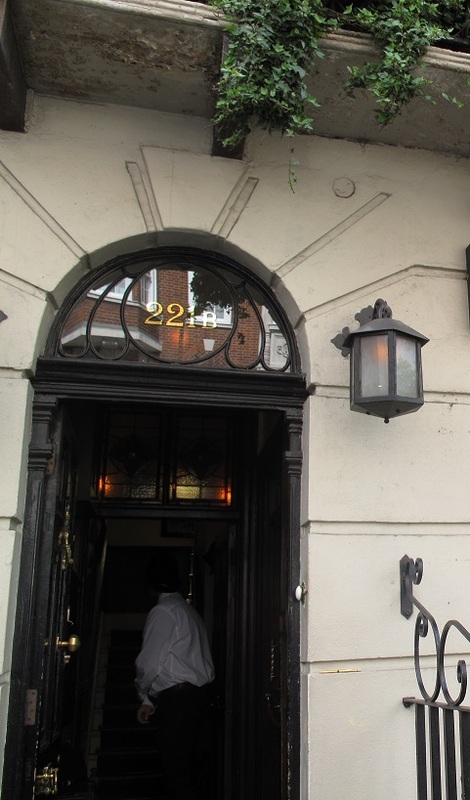 We looked at 221B Baker Street from the outside. There was a long queue and the English man in charge was stressed, making him impolite, but still nice by German standards. On the whole way we talked about English series, English people and had a lot to laugh about. At the Sherlock-related places we would be all excited and would continue talking…but louder. At last I bought a little souvenir (because memories are not enough). We took the train back to Woking and our great day ended with a wonderful BBQ with the others.